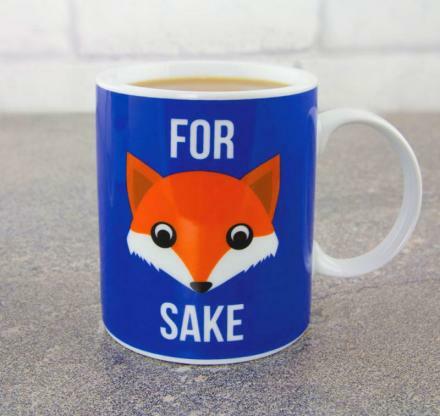 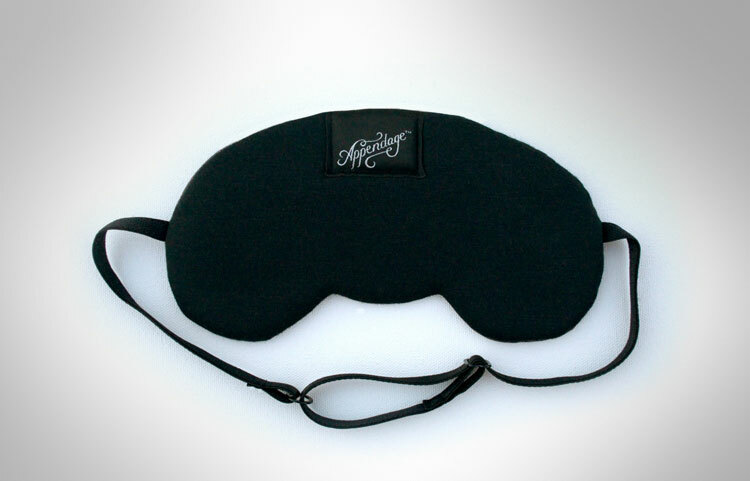 You live the life of a worthless human during the day, so why not live the life of a worthless animal while you sleep. 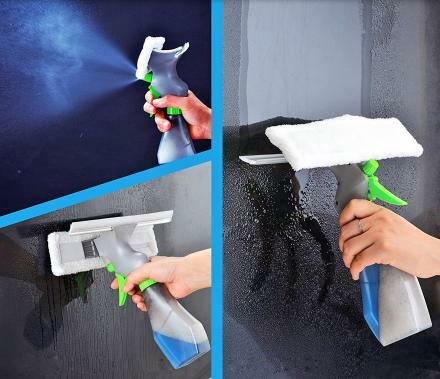 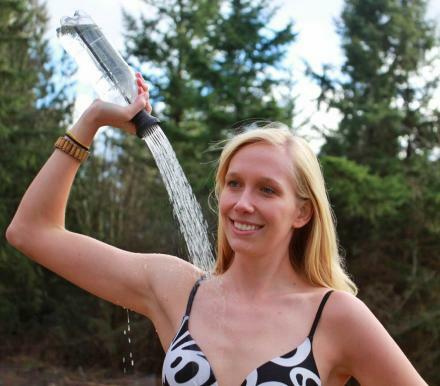 With the sloth sleeping mask you will appear to be a sloth, the laziest animal in the world to others while you slumber, and have the dreams of a sloth, hanging from a tree branch, hoping to one day reach that other tree that's 5 feet away. 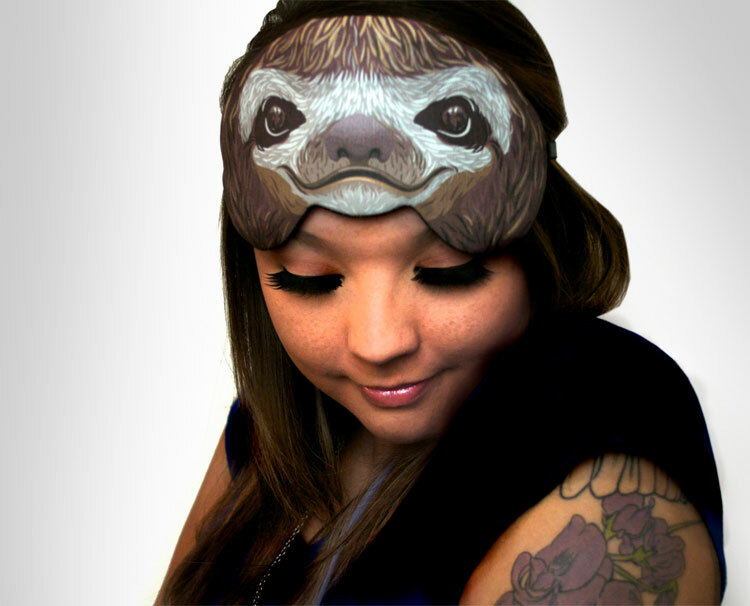 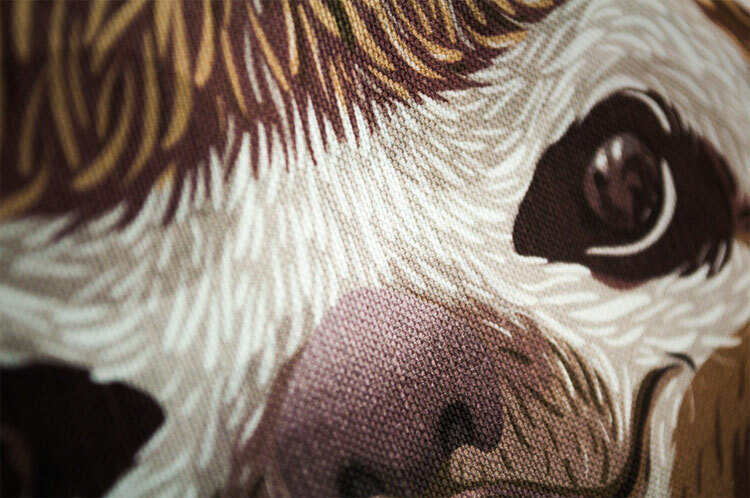 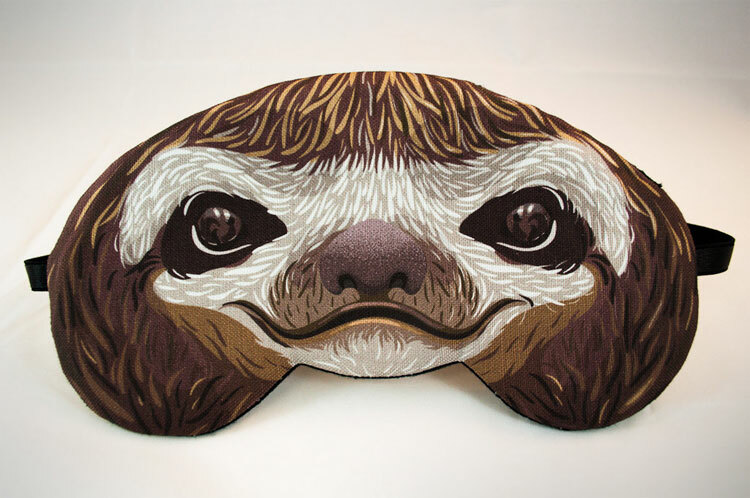 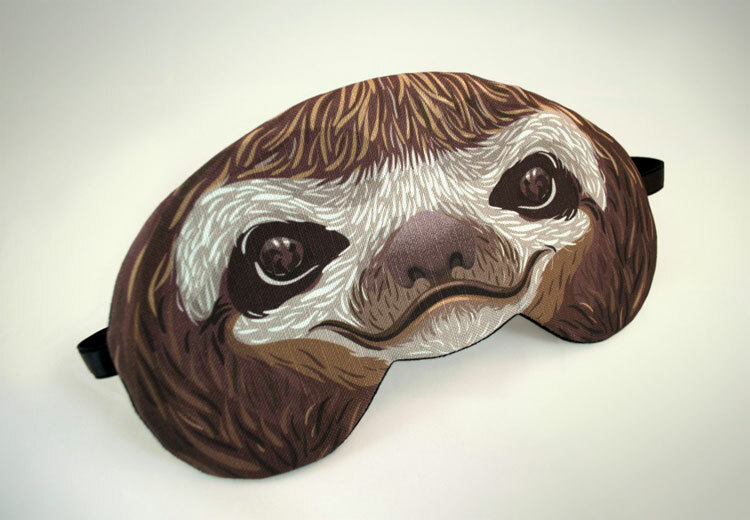 The sloth sleeping mask is hand drawn and printed onto a canvas fabric. 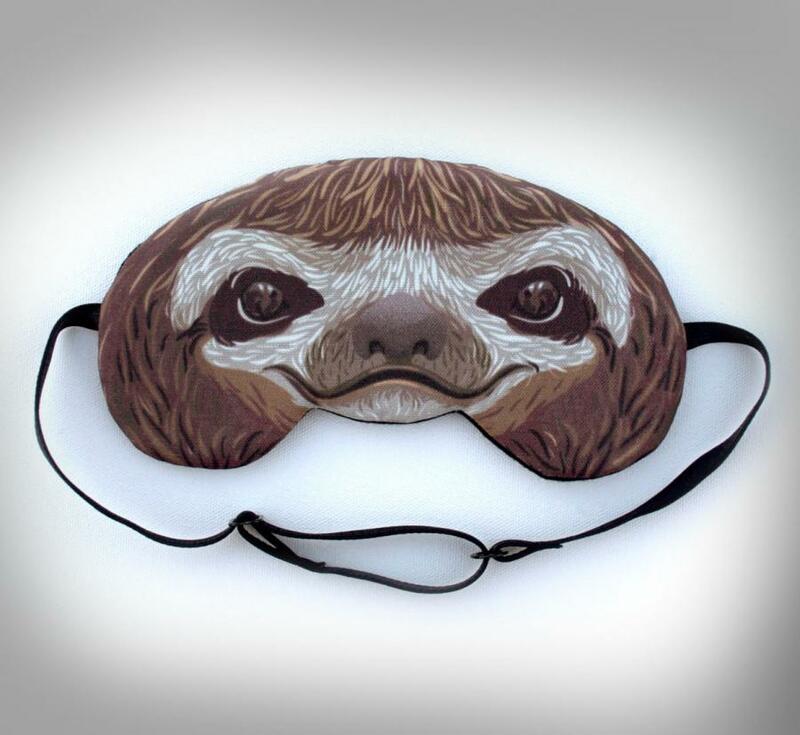 There are even other animals available for sleep masks such as an owl, a panda, a cat, a pug, and more, so take thy pick.